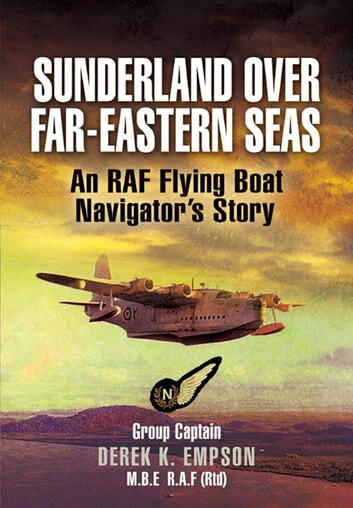 This is the first book to give a detailed, first-hand account of post-World War II RAF Short Sunderland operations in the Far East. The author was a navigator with 88 Squadron and later 205 Squadron, flying operations during the Korean War, the Malayan Emergency and many other operations. He was based at Seletar in Singapore, Kaitak in Hong Kong, Iwakuni near Hiroshima and various other operational bases throughout his two and a half year tour. 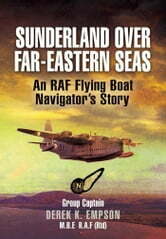 The Sunderland flying boat was a unique aircraft in that each crew was allotted an aircraft which became their floating and airborne home. The crew relied upon all-round cooperation to keep the airplane in top condition, plus the addition of personalized luxuries. The task of long distance navigation in the Far East during the early 1950s relied on the conventional methods of astro navigation and dead reckoning, a difficult task when crossing hundreds of miles of open ocean and encountering monsoon and tropical storm conditions. Amongst the noteworthy events included is a return flight from Singapore to Hong Kong across 1,400 miles of ocean with a VIP passenger, his first operational flight as a 21 year old Pilot Officer navigator. He then undertakes an operation involving a return trip to Scotland which took three months. On moving to Kiatak the Sunderlands provided air cover for search and rescue operations, taking off and landing amongst the port's many small and erratically steered shipping craft. He flew sixty-one missions in support of the United Nations forces fighting in and around Korea, enduring the threat of Chinese fighters over the Yellow Sea. In one operation an engine fire caused the crew to ditch in the Tsushima Strait with serious structural failure and they were rescued by the USS De Haven, a US destroyer. This is a worthy record of some of the legendary Short Sunderland's final roles in the RAF. Great to be inside the aircraft.